Since we've been posting our dogs sporting their jumpers on Noddy & Sweets Instagram account, we've had many requests to make dog sweaters for your little ones. So we've decided to do just that! Our dogs come from a Tropical climate [Thailand] and having short hair they need protecting from the cold weather. They also like to rummage through the bushes and shrubbery, which means scratches to their skin is a common occurrence. So this is why we like them to wear their Jumpers. No strangers are we to making things all knitted and crotcheted, like bedding, blankets, scarfs and snoods. It seemed a logical progression to make sweaters for them too. However, given that each one is custom made, this is not something we can offer as a stock item. Each one has to be individually made to measure, and that means that you have to measure your dog before we can make one for you. And even if we say so ourselves, we think our gang look stylish while keeping them toasty! 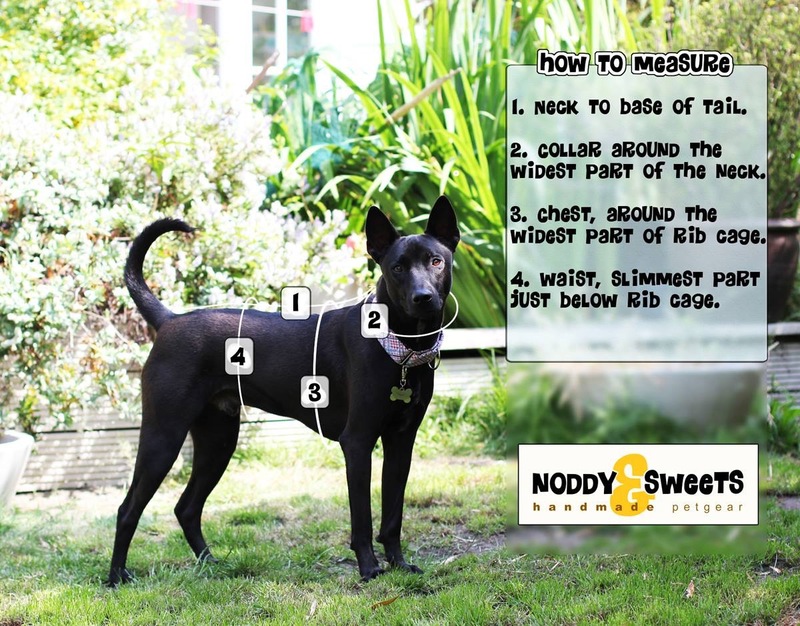 Take a look at Noddy showing how to measure to give an idea of what you need to do. So if you want to join Noddy & Sweets wooly brigade, use the form below.